Created in partnership with DDB Canada Vancouver, the campaign’s centrepiece is an online video featuring the Miley Cyrus performing a rendition of Teddy Bears’ Picnic against the backdrop of an empty wilderness. Viewers are encouraged to visit the campaign microsite, www.savebcbears.org, where they can sign a petition, make a donation, and record their own version of the song to share via social media. The campaign is supported by an influencer and media relations program implemented by DDB Public Relations. “With more than 90 per cent of British Columbians opposed to trophy hunting, we saw an opportunity to harness their emotion, and galvanize them to stop the hunt. One more majestic grizzly bear lost to hunting vanity is one too many,” says Lance Saunders, national president & COO, DDB Canada. 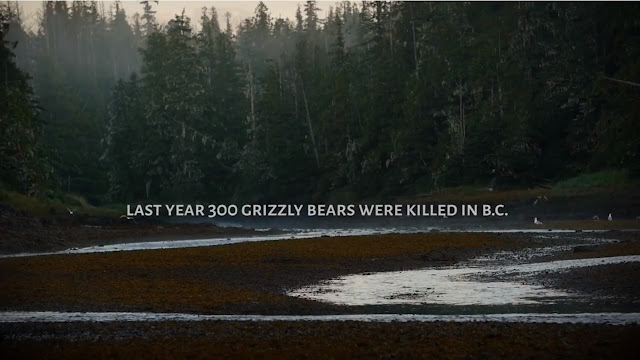 Pacific Wild is a non-profit located in the heart of the Great Bear Rainforest on Denny Island, B.C. Pacific Wild supports innovative research, public education, community outreach and awareness to achieve the goal of lasting environmental protection and elevate awareness of wildlife and habitat issues. In collaboration with their sister organization, Pacific Wild Alliance, they are committed to mobilizing both U.S. and Canadian communities dedicated to protecting the unique diversity of the Pacific Northwest bioregions of North America.